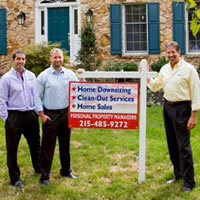 We are senior real estate, downsizing and home cleanout service specialists. We help seniors, caregivers and their loved ones transition from current living environments to senior communities, assisted living, nursing homes or retirement living. We are a one-stop solution helping clients sell their home, while taking care of all downsizing, de-cluttering, clean up, charitable donations of belongings, and selling home contents. As licensed realtors and certified discount Senior Real Estate Specialists via our association with EveryHome Realty, we can help you sell and maximize the value of your home and can handle everything relating to your move. We have developed a special 2019 best-in-class portfolio of services, with the knowledge and experience to assist you or your caregiver to help you move forward. Click here for tips and insights. Read our latest News Story to learn more about us. We appreciate that a senior’s home represents a lifetime of hard work and fond memories. 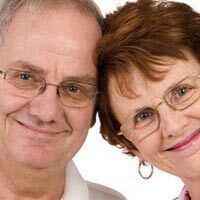 We are mindful that a move for a senior citizen has many financial and emotional considerations. We provide the one-stop solution you are looking for. Our one-stop senior real estate services saves you time, money and reduces the stress and headaches associated with transitioning from independent living to assisted living or retirement care. We are Alzheimer Association volunteer support group faciliators. We also work with and recommend A Place for Mom as a resource for finding senior housing and care options. We begin by meeting with you or your caregiver personally. This allows us to understand your personal needs. A personal and comfortable fit built on understanding and trust is very important. As you can imagine each client has unique and special needs, thus we tailor our solutions to meet your individualized needs and circumstances. From this point, we begin to develop a customized program to meet your specific goals. As certified discount Senior Real Estate Specialists, we then conduct a comprehensive market analysis, which will help give you a feel for the value of your home. Inclusive in this analysis, will be an assessment of the condition of the property, which will have a significant impact on the value of the home. This drives the marketing strategy needed to help us sell your property. We then will evaluate the contents of the property with you to ascertain what you wish to keep, give to friends and family, donate, shed, discard or move to your new home. A full inventory is done at this time and is sorted based on your direction to us. For items of value, we will coordinate an appraisal and help you sell off some of your contents to help defray costs. For items you wish to part with, we will arrange for the disposal of them (working in compliance with local laws and ordinances) or donate them to charitable organizations. For items you wish to keep, we can arrange for them to be packed and moved. We then work with you to determine a moving schedule. Please note that the market for pre-owned items is entirely based upon the style, age and condition of your contents. As a result, not all things are saleable. Additionally, there will always be two different sets of values to any items. There is the seller’s perceived value, which may have a high emotional and sentimental value, and then there is the potential buyer’s view of the contents value, which is generally very different. Please remember that something is only worth what someone else is willing to pay for it. To learn more, please client here to view a short article we wrote on this subject or click on our Resource link page for a host of other insights into selling pre-owned items, home downsizing, home sales information and elder care. We can even assist in creating a floor plan for items going into your new home and help you move, unpack and organize. Lastly, we can assist in a final cleaning of your property as part of the downsizing and de-cluttering process which is all geared to help us to help you sell your property at the maximum value. We are an award winning organization dedicated to providing personalized services and offering you solutions that are tailored to your specific needs. For more insights, tips and videos please visit our Resource Page in the About us tab. We tend to your property and its contents like it was our own. We know that often times a move, a home downsizing or sale can be overwhelming and physically demanding. We can handle everything for you. When you call us, you get us. We are on site at every job. You can rely on us and trust us. 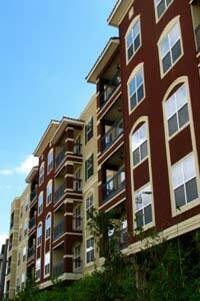 With Personal Property Managers...one call does it all. We are Estate Specialists, are licensed Realtors in New Jersey and Pennsylvania, and are certified Senior Real Estate Specialist via EveryHome Realty, RS308044 and 1326862. Please call us for a free consultation at 215-485-9272 or 908-368-1909. Website by Mikula Web Solutions, Inc.